Tanzania’s visiting Minister of Agriculture, Food Security and Cooperatives Stephen Masato Wassira called on Iranian private sector to invest in the East African country. “We in Tanzania are willing to attract investment of the Iranian private sector,” Wassira told Fars News Agency. He expressed hope that his visit to Iran would help increase bilateral ties. The Tanzanian minister was in Tehran to take part in a high-profile forum on Iran-Africa ties. High-ranking officials from different African states gathered in Tehran last Tuesday to discuss ways to boost cooperation between Iran and the African continent in the ‘Iran-Africa Forum’. Tanzania’s Industry is mainly limited to processing agricultural products and light consumer goods. Tanzania has vast amounts of natural resources including gold, diamonds, coal, iron ore, uranium for sure and other minerals. It is the third-largest producer of gold in Africa after South Africa and Ghana. You do the math, which kind of industrial cooperation Iran-Tanzania can have when their industry is processing agricultural goods? Some experts believe Iran’s regime is looking for a Uranium ore supplier, Like what their master (Abdul Qadeer Khan) did before. Because Pakistan also like Iran doesn’t have enough uranium mines which supply their nuclear weapons program. No one knows how far they went until now. 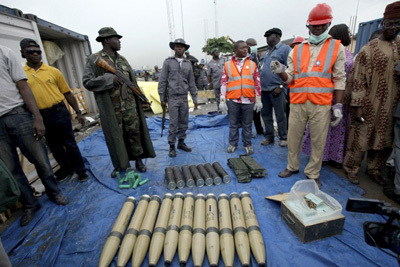 In 2003 Saddam Hussein also was seeking to purchase uranium from another African country, Niger. Tehran’s efforts to boost ties and cooperation with Africa have led to its acceptance as an observing member of the African Union (AU), where it has shown an active presence in the AU summit meetings. This should be treated as wakeup call. President Mahmoud Ahmadinejad said Iran and Africa wanted a new world order to replace the existing one which has been created by “slave masters”, as he opened an Iran-Africa conference. 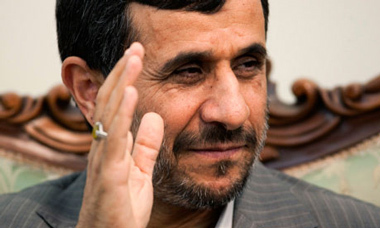 President Mahmoud Ahmadinejad said he sees “no limits or restrictions” on Iran’s cooperation with countries in Africa. Iran and African nations are “culturally and historically friends and brothers who are fighting in the same camp,” Ahmadinejad said today at the opening of a conference in Tehran, according to the official Islamic Republic News Agency. 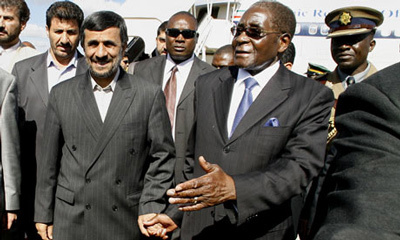 Iran and Africa have lands that are rich in natural resources and have had to counter the presence of “oppressors and foreign pillagers,” Ahmadinejad was cited by IRNA as telling conference guests, including Senegalese President Abdoulaye Wade and his Malawian counterpart, Bingu wa Mutharika. If you want to think wisely, natural resource means Uranium ore resources in his mind because the rest of the mineral and natural sources are available in Iran. The two-day Iran-Africa conference is aimed at exploring ways of expanding political and economic ties between the Persian Gulf country and African states. The second-largest Iranian auto manufacturer, Saipa, signed a contract to open a factory in Sudan for the production of about 35,000 cars over the next five years, Iran’s state-run Press TV reported. South Korean auto manufacturer Kia (The Mother Company of Saipa) suspends exports to Iran also. 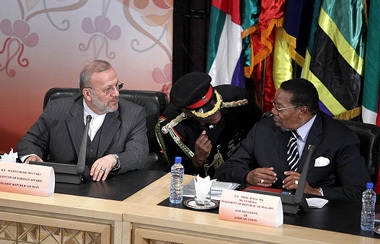 Iran and Sudan have generally sought a very cordial and friendly relationship. 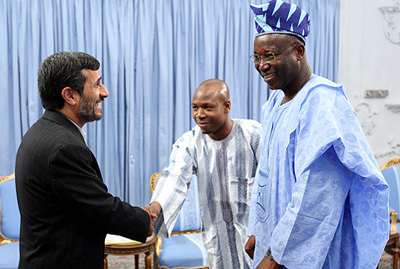 Relations between Tehran and Khartoum have continued to grow, especially since April 2006, when President Mahmoud Ahmadinejad voiced his opposition to the deployment of Western United Nations Peacekeepers in the Darfur region. 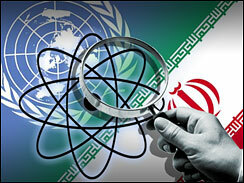 Sudan ardently supports Iran’s nuclear program. Both countries are also firmly against Israel. 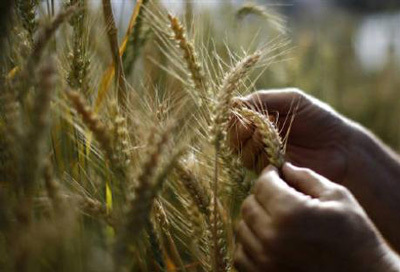 Wheat prices rose further in the wake of Russia’s decision to extend its grain export ban by 12 months, raising fears about a return to the food shortages and riots of 2007-08. In Mozambique, where a 30 per cent rise in bread prices triggered riots on Wednesday and Thursday, the government said seven people had been killed and 288 wounded. The 2007-08 food shortages, the most severe in 30 years, set off riots in countries from Bangladesh to Mexico, and helped to trigger the collapse of governments in Haiti and Madagascar. Meat price surge fuels fears of food inflation. Global meat prices have hit a 20-year high as robust demand from emerging countries has coincided with a drop in production by exporters such as the US and Australia, fuelling concerns about rising food inflation. The UN Food and Agriculture Organization’s index of meat prices rose in August to its highest level since 1990, up 16 per cent over the past year, after lamb prices hit a 37-year high, beef prices climbed to a two-year high and the cost of pork and poultry prices rose.